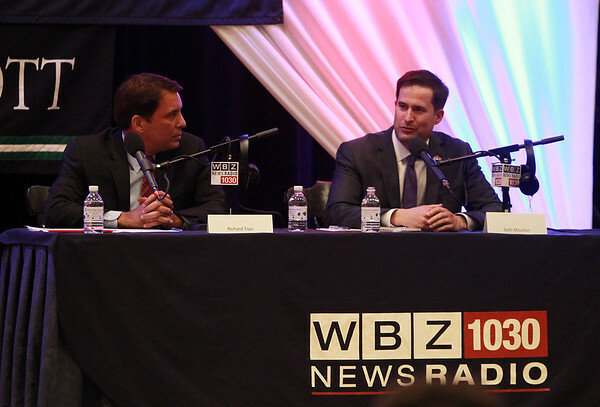 Congressional candidates republican Richard Tisei, left, and democrat Seth Moulton, right, participated in WBZ Radio Host Dan Rea's Talk the Vote at Endicott College on Wednesday evening. DAVID LE/Staff photo. 10/29/14.